Cake Banner by Tra La-la! Artist Tracy Pesche of Silvestri from DEMDACO. Made of Canvas and Felt with Grosgrain Ribbon for hanging. Perfect for Door or Wall. 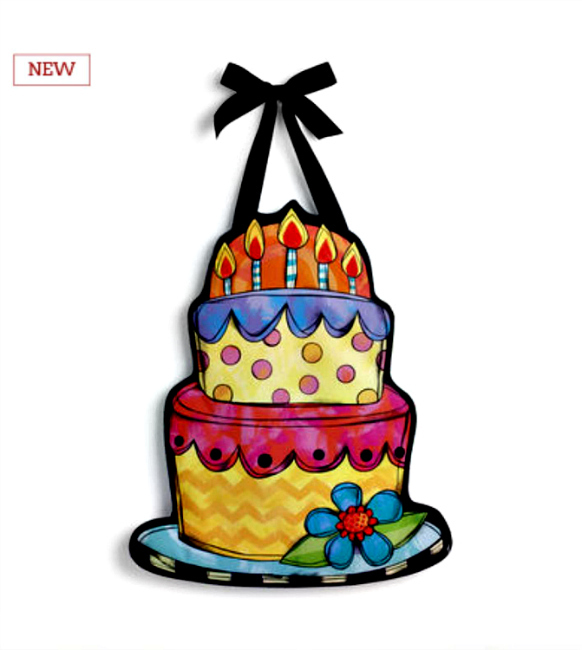 Measures 21"W x 26"H. Perfect for celebrating Birthdays or other Celebrations!